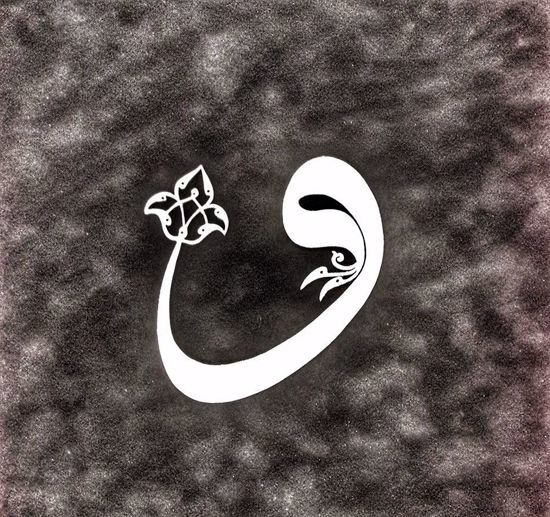 The artist cut "Waw", 27th letter of the Arabic alphabet. The “Waw” in Arabic numerology which is known as Abjad has the value of six. 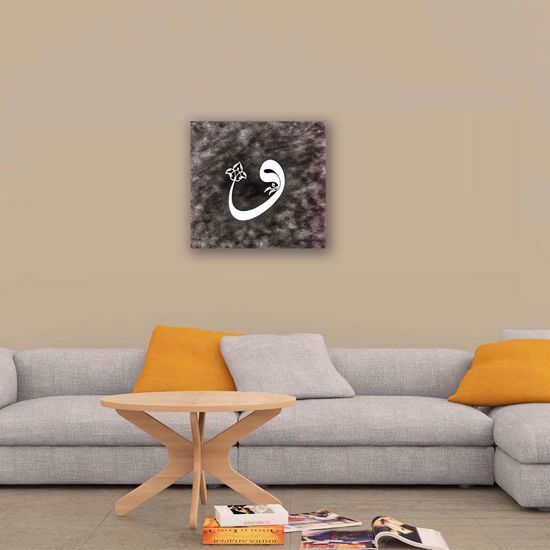 The “Waw” has mystical meanings and very common to use it in the calligraphy works. In Arabic, the grammatical role of the letter "Waw" is the conjunction “and”. It is believed that without it, nothing can come together. So it is called the letter of Love. The "Waw" is the meeting place, thus it is the place of Love. The “Waw” forms the link between the Divine and created beings. The ‘Waw’ points out that we’ll return to the One we came from, the One without beginning nor end. The ‘Waw’ is the first perfect number, as the number six symbolizes the perfect human being.